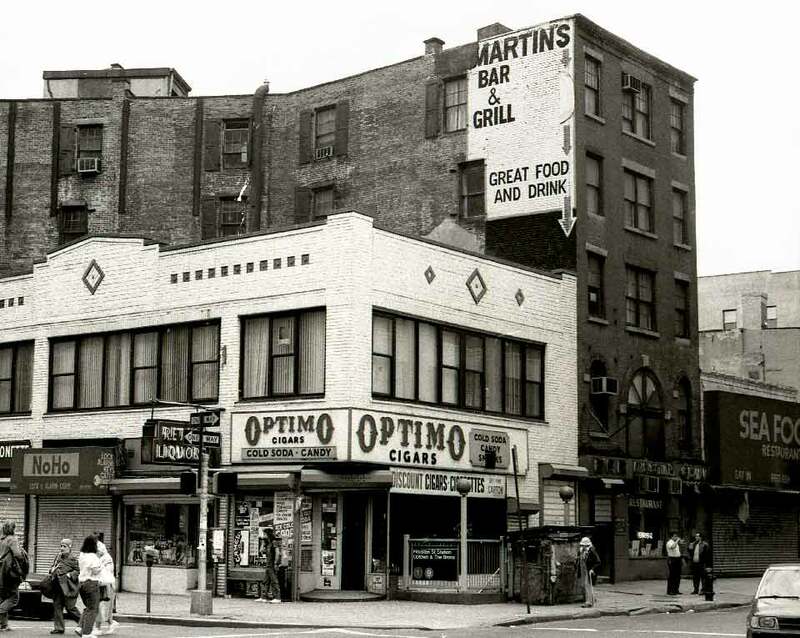 There were numerous Martin's Bar & Grill locations in Manhattan during the 1940s until the 1980s. This Martin's on Houston St. near Varick St. was in business from 1945 to 1989/90. This view of the front of 228 W. Houston dates from 1992. The restaurant downstairs is now called Brothers, and Evergreen Video occupies the second story. This Martin's was located at 1845 Broadway between 60th St. and 61st St. It was still very much a going enterprise when I took this photo in 1986.